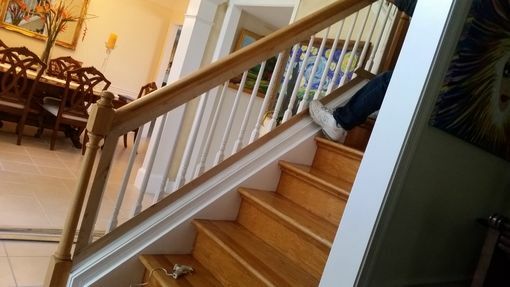 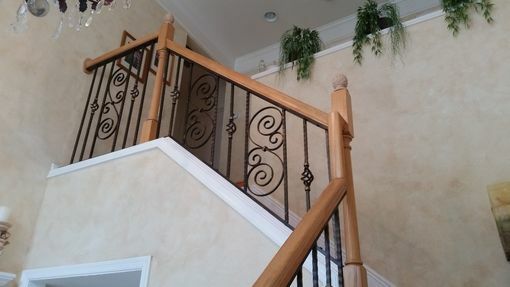 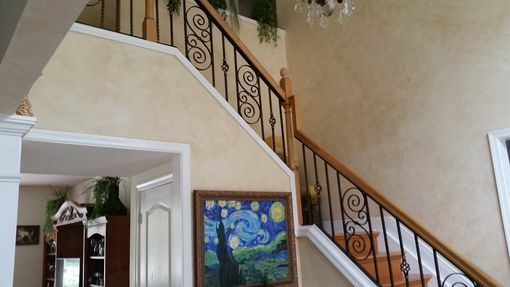 This customer wanted to replace existing wood balusters with metal scrolls, twisted baskets and metal balusters. 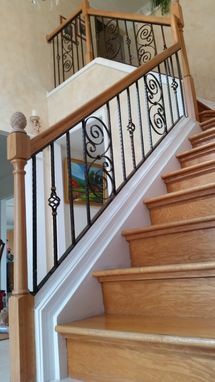 We create any scroll design to customers specifications. 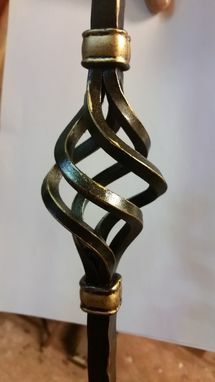 This piece also features collar bar accents to band pieces together.